To increase the quantity, quality, and benefit of children’s outdoor experience. The Outdoor Classroom Project is a critical quality improvement initiative that improves not only the quality of outdoor environments and programs but the entire functioning of an ECE center. The engagement and communication skills teachers are taught transfer into everything that a teacher does. The primary activities of the Project were program and site evaluation, design consultation, and teacher training. Over the two-year course of the Project, 144 or 83% of all child care centers in Santa Barbara County participated. 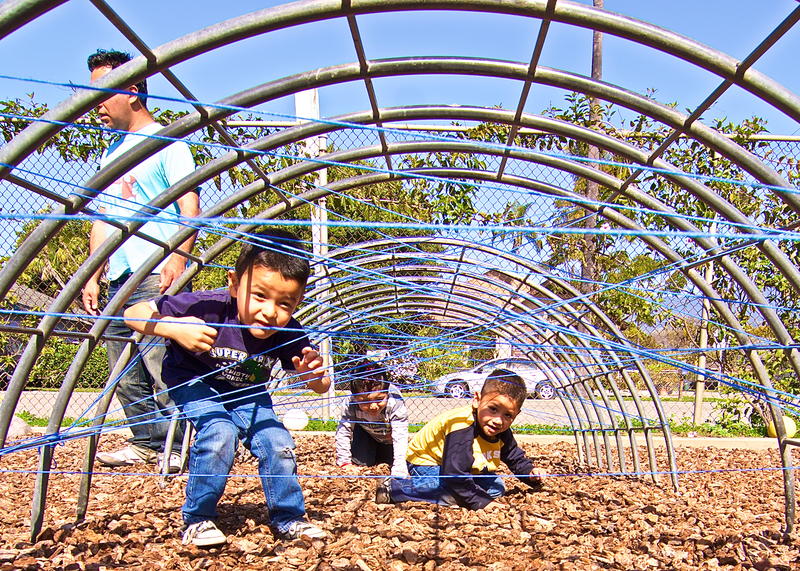 In Santa Barbara County, the quality of outdoor experiences in centers of Early Childhood Education (ECE)—including outdoor program philosophy, structure, and curricular content as well as center physical environment and teacher attitudes and practices—tended to be weak and under-developed. There was also a “silent emergency”—a selection of challenges faced by children in the 21st century that include childhood obesity and disconnection from nature. 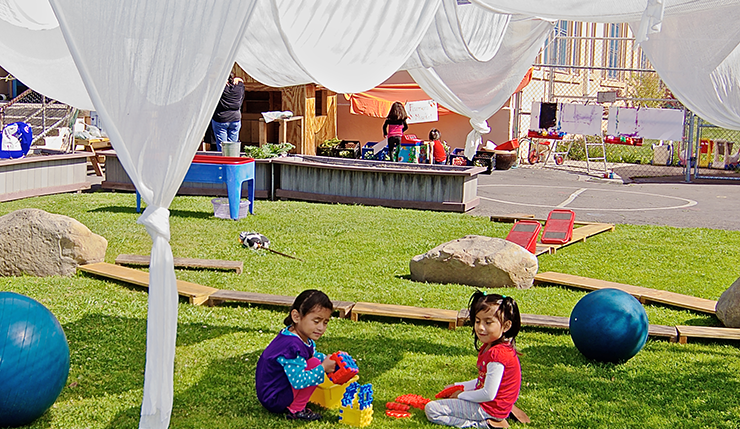 The goal of Santa Barbara County Outdoor Classroom Project (SBCOCP) is to better the lives of young children in Santa Barbara County by increasing the quality, quantity, and benefits of their outdoor experiences in centers of early childhood education. The SBCOCP was delivered under contract by the Consulting and Educational Services Division of the Child Educational Center, Caltech/JPL Community (CEC) in Southern California. The CEC developed the Outdoor Classroom Project® in 2003 and brought that program to Santa Barbara County, tailored to Orfalea Foundation objectives, in 2009. At the outset, the initiative had two key objectives: 1) to work with centers at whatever stage of outdoor classroom development they had achieved; and 2) to impact as many centers in the county as possible. 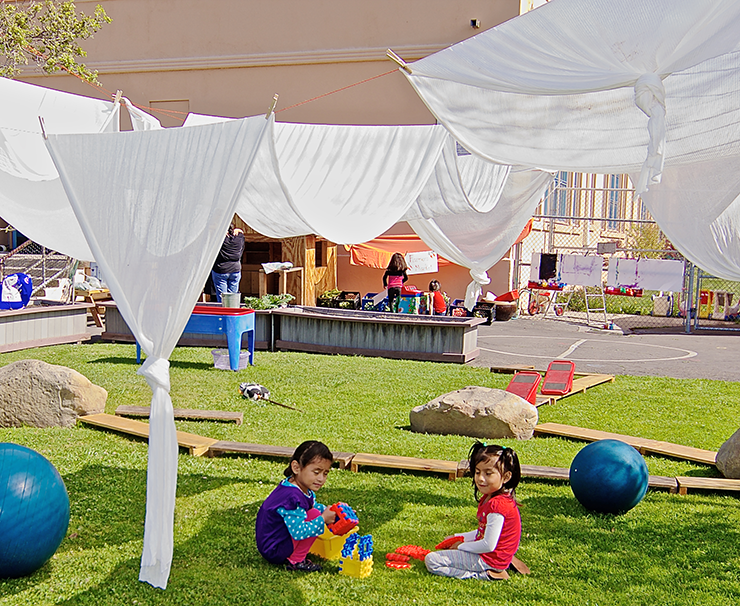 The long-term goal of achieving these two objectives was to effect a paradigm shift in how ECE was practiced in the county by helping centers bring all aspects of their programs more fully outdoors. There were four major features of the implementation strategy for SBCOCP: 1) A county-wide conference; 2) regional workshops; 3) center site consultation and staff training; and 4) play yard re-design. In the first two years, the program was delivered by two individuals working full time and three-quarter time, respectively. Over the two-year period, 144 of the 170 ECE centers in the county participated in the project. In 2011, two years after SBCOCP began, the Foundation funded the CEC to shift its focus and establish the Preschool Food and Healthy Habits Initiative (PFI). A third staff person was added at 50% time to support the work. For the next two years, the SBCOCP continued at a level of effort that was initially 20%, and then 10%, of prior funding levels. In 2013, the two initiatives were more fully integrated, but with the focus on an expansion of PFI to reach more centers. Throughout this period (2011 forward), even as the focus shifted to PFI, steady attention was paid to addressing the SBCOCP-related needs and interests of the ECE centers that had continued participation with PFI. There were two key outcomes of this continuing attention. One was that a number of centers made improvements in their physical environment. Included in this was the design of a new outdoor classroom environment at the Allan Hancock College Child Development Center and lab school in Santa Maria. The second, from the point of view of sustaining the achievements of the SBCOCP, was the addition of new Outdoor Classroom Demonstration sites and the creation of the SBCOCP Demonstration Site Network and DSN Network Steering Committee. Measures of this initiative were: 1) the number of centers engaged in ongoing participation with initiative activities over the two years; 2) the number of individuals participating in the Outdoor Classroom Specialist training series; 3) observed and anecdotal evidence of change; and 4) the number of Outdoor Classroom “Recognized” and “Demonstration” sites created as a result of the work. In the first two years of project activity, significant measureable progress was made on all four of these fronts. This progress continued over the succeeding five years as the focus shifted to the Preschool Food and Healthy Habits Initiative. Among the observed changes that teachers reported and project staff observed were that children played more harmoniously and were more engaged in activities when outdoors. Teachers reported that their own time outdoors was easier and happier. Teachers also reported that as a result of more quality time outdoors, children were calmer and more focused indoors. As Demonstration and Recognized sites are established, they become members of a network led by a Demonstration Site Network Steering Committee established to support the participating centers. Through the Committee, new centers are confirmed as Demonstration or Recognized sites and become part of the SBCOCP network. They also become part of the greater collection of Demonstration and Recognized centers outside Santa Barbara County. The SBCOCP Demonstration Site Network is the vehicle through which centers in Santa Barbara County will be engaged and supported to continue evolution of the outdoor classroom at individual centers and as a movement throughout the county. Sustaining both PFI and SBCOCP beyond the retirement of the Foundation has been the final focus of the seventh year of the combined SBCOCP/PFI endeavors. This work has involved establishing and developing the leadership of the SBCOCP Steering Committee and expanding the base of Demonstration and Recognized sites. As part of this activity, the Committee and the centers understand that their responsibilities include sustaining both endeavors. A mentoring program has been established to facilitate support for less developed centers by those that are more developed. Finally, a focus specific to SBCOCP has been to establish the SBCOCP work as a national model of effective transformation of ECE. As part of this effort, centers in the county are participating in a national post-occupancy study on the benefits of outdoor classrooms. The results of the pilot study that preceded the national study are available here.